The iPhone is one of the most highly regarded technological innovations of our age – Apple are definitely market leaders in this field and many of those who have used an iPhone swear that they could never go back or switch to using an Android phone of a phone that runs on a different operating system. Customer loyalty is one thing – but falling in love with your phone is another, and that is just what has happened to many who use iPhones and are dedicated to choosing only Apple products. 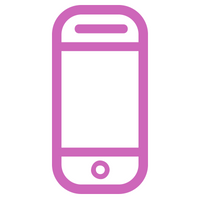 If you are one of the many people who would only ever choose an iPhone for their mobile phone, then why search through contracts for other smartphones? Here at Money Pug, we’ve made your job a lot easier by compiling all the iPhone deals and contracts in one, easy to access place. Here, you can see at a glance all your iPhone options without wading through all the contracts for phones that you know you do not want. One of the great things about iPhones is that they are easy to use and easily integrated with other Apple products. Keeping it all Apple makes it easier to integrate your phone, apps and operating systems on all your technology. If you are a devotee of the i operating system then you will likely not be interested in switching to Android, Microsoft of other operating systems. If only iOS smartphones will do for you, then you have come to the right place. Money Pug allows you to search for all the best iPhone deals to save you money on your next iPhone contract. On this page you can find and compare deals on iPhone X, iPhone 8, iPhone 7 or older iPhone models. No matter whether you want to be bang up to date, or would prefer to stick with the iPhone you know and love, we can help you find the right, cheap deals for you. Plus, as soon as new models come out, we’ll update our listings so you can be one of the first to find a contract with the very latest iPhone models. Apple iPhones are said to be amongst the most user-friendly of smartphones. Of course, running on the iOS, iPhones also come with the world of smartphones’ most extensive collection of apps and games, many of which are completely free to download. On this page, you will be able to see at a glance which handsets are available for various contracts, and what exactly you will be able to get for your hard-earned cash. Check out Money Pug’s fantastic comparison service to see all the latest and best iPhone contracts from all the major mobile networks and service providers. Get the iPhone that is right for you, for the best price possible, on the best possible contract terms, and rest assured that you have made the right decision when it comes to your smartphone and mobile service.